…PLUS These Workout Can Be Done Right In The Comfort Of Your Own Home With ZERO Equipment! How long did it last? How intense was it? These individuals trained their bodies to be lean, strong, and incredibly fit. They performed workouts that allowed their abs to show and attain the lean look we all want. These individuals had real life, Superhero Physiques as I like to call them… They had physiques just like you see in many movie stars today. Look at any actor or actress that has played a Superhero role in the previous five years… Ryan Reynolds (Blade and Green Lantern), Gerard Butler (300), Jessica Alba (Fantastic Four), Chris Evan (Captain America), Jennifer Lawrence (X-Men), Hugh Jackman (X-Men, Wolverine), Scarlett Johansson (The Avengers)… The list goes on! These movie stars all have what we want… That Lean, Superhero Physique! For years I wanted to have that super strong and lean physique yet over and over again I failed. I tried following whatever muscle magazine, commercial, and “expert” was saying about how to get lean and ripped, but it NEVER worked! The exercises and workouts you have been told to do, just don’t work when trying to transform your physique. What is the secret that they know that you don’t? What is it that these lean individuals do that you don’t? As was stated earlier, these incredibly defined and ripped individuals train like Superhero’s. And when you start training like a Superhero, you start looking like a Superhero! get fit, lean, and defined… and stay that way for life! Researchers concluded from their study that runners actually gained weight each year! And this was even true for the ones that ran up to 8 miles per day! For years now, study after study has shown that high intensity workouts are what bring the best results. Not only do high intensity workouts burn more calories, but they directly target fat loss. Cortisol not only forces the body to store fat but it also plays a role in stopping lean muscle growth. This is why when you look at long distance runners, many of them have very little muscle and tend to actually have higher body fat percentages. Group A trained three days a week performing 20 minutes of intervals, which included 8 seconds of high intensity work followed by 12 seconds of rest and repeating for the duration of the 20 minutes. Group B also trained 3 days per week, but performed 40 minutes of cardio at one speed for the entire workout (just like you would do when going for a jog). Note that Group B trained twice as long as Group A, yet Group A were the one’s that saw significant fat loss while Group B participants saw nearly ZERO results. In fact, one participant in Group B (the long, slow cardio group) gained weight by the end of the study even though this person spent 30 hours working out over the 15 week study. When you go for a jog, you only burn calories while during the workout. Once your workout is over, your calorie and fat burning stops. To get the results you are looking for, you must engage in workouts that will allow your body to burn fat and calories for hours and even days after your workouts are finished. As you can see from our study above, subjects performing the higher intensity workouts were the ones that experienced extended fat burning for days after their workouts were finished. So should we conclude that interval and high intensity training is best when trying to get a Superhero Physique? After years in the trenches testing and tweaking thousands of workouts on my clients and myself, I have finally figured out what you need to do to look your absolute best. And all the workouts I create have one purpose in mind: to help attain that lean, athletic, superhero look! Listen, what I am about to reveal to you was not just some made up program or something I happened to stumbling across… It was put together after years and years of hard work, research, and testing different workouts to find out what worked and what didn’t. Knowing that I couldn’t keep up my current workout routine without completely breaking my body before the wedding… I created a system which is now called Superhero Sprints, that got me looking leaner, stronger, and more fit in just 6 weeks time. The reason these workouts worked so well was because of the intensity and strategically placed interval strength circuits. Study after study has proven that when you are trying to get lean, and burn fat… intensity is the key. In a study done by Experimental Biology, researchers tested 11 men and 11 women, all of whom were working out at different levels of intensity. What researchers found was that the group of individuals working out closest to their anaerobic threshold, they experienced maximal fat utilization. This means the group that was performing sprints as opposed to doing longer, slower forms of cardio saw greater fat loss and allowed their body to directly use fat as energy. So instead of your body using up your hard earned muscle as energy, it instead blow torches unwanted fat when we workout close to our anaerobic threshold (aka. Sprints!). Interval Sprint Metabolic Training (ISMT™) is the method of training that allows you to near instantly double or even triple your fat burning starting with the very first workout. ISMT™ involves two different types of movements: high intensity sprints and metabolic strength training, both in which produce hours of lasting fat burning. The Superhero Method of working out (ISMT™) is what will allow your body to burn calories and fat for hours after your workouts are finished. You see, all exercise and workouts are NOT created equal. As we saw in our studies above, certain workouts and exercises reign far superior to others. As you can see, when you train using the ISMT™ method, you have a greater effect on fat burning and growth hormone production, which means you will be able to add lean muscle easier while eliminating tons of unwanted fat faster. The ISMT™ method is the best training style when looking to turn your body from a zero to HERO, fast! As I am sure you can guess by now: Sprints! Once again, don’t go running off because you hear the word sprints. Remember, sprints are certain exercises that are done at your highest intensity for a short period of time, followed by a short rest and repeat. What I have realized over the years is that you can get crazy good results by doing sprints alone. 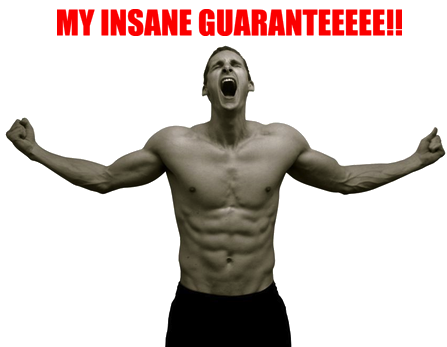 But I am not satisfied with just “crazy good” results and you shouldn’t you be either! You want to have Superhero Results! So in order to get those kind of results, you must include the next step in the ISMT™ system. What I am about to share is what allows Superhero Sprints to be what they are today. Since the first time going through this system, it has evolved to become better and better to bring more rapid results. The strength circuits you engage in use the powerful 20-10 interval system that has been proven time and time again to rapidly increase fat burning and lean muscle growth. The strength circuits in the Superhero Sprints System include some of the best and most unique exercises around, guaranteed to build lean muscle while eliminating unwanted fat at the same time! You can trust me when I say that these workouts will turn you into a real life Superhero… The only thing missing will be the superpowers! Superhero Sprints and the ISMT™ method is NOT for everyone! If, however, you are dedicated to following exactly what the program entails, no matter what… Follow the workouts and nutrition guides to a ‘T’… And are looking to finally change your body into the lean, athletic, superhero look… Then this program is most definitely for you! This is a 40 page course is a detailed and easy to follow program broken down into a 2 phase plan to move you quickly from zero to hero using the ISMT method! This system is unlike anything you have seen before and is something that will transform the way you look and feel, forever. The goal of this system is to not only get you the results you are looking for, but to help you maintain those results for years to come. Don’t have the access or simply do not want to workout outside? I have you covered! A full six weeks of indoor Superhero Sprint Workouts that can be done in the comfort of your own home! Six full weeks of workouts that can all be done in the comfort of your own home so that you have no excuse to ever miss a workout again. Discover the unique progressive style workouts that allow you to get leaner and more in shape with each new workout. 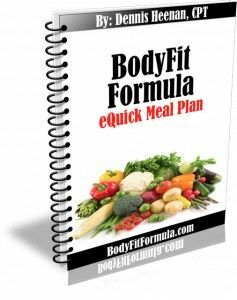 Find unique exercises and circuit splits to help blast away even more unwanted fat so that you see more rapid fat burning and results. See every workout on this program in video form. Exactly how to do each rep of all exercises as well as how each workout should be performed. Intro videos to help you get started on the program so you can start within the first two minutes of watching the first video. Exercise variations for those who may not be able to do some of the more advanced exercises. Remember, sprinting comes in many different forms. Ive got you covered here. Access to Superhero Finisher videos that will have you blasting more fat than ever at the end of your workouts. Starting anything new can be challenging and intimidating. Not to worry, Captain America is here… Wait not really, but this guide will be helpful! Exact steps on how to get started to boost results, boost fat burning, and boost the fun factor as you go through the superhero sprints system. Advice for both beginner and advanced workers to get the most out of the program so that you can hit the ground running… better yet, hit the ground sprinting starting with the very first workout. Learn exactly how you should set goals and more importantly follow through on them so that you achieve everything you want on this system. Discover 5 different workouts that are the perfect starting point for beginners or for those who have not sprinted or done high intensity exercise for a while. These were designed to not only kick-start your fat burning, but to get your better prepared for the workouts that are ahead. You can be 100% sure that these workouts will challenge, prepare, and allow your body to burn a ton of fat in the process. All 5 beginner workouts are laid out for you in this simple to follow manual with full exercise descriptions so you know exactly how to do each workout. I will tell you now though, get prepared to be challenged and see amazing results in the three short weeks on this program as you prepare for the full 6-week Superhero Sprint workouts. My most advanced sprinting course to date. This combines both Speed and Power for your fastest results ever. These were created specifically as a next step once you are done with the Superhero Sprints system. 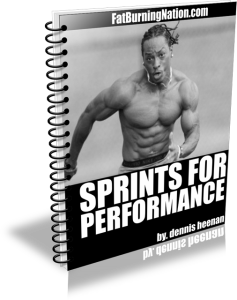 Inside this 32-page manual you will learn more about the importance of sprints and unique ways that you can increase your speed, power, and fat burning. These are the same workouts that athletes use to get that athlete, superhero, SUPER LEAN look. And today, you get this absolutely FREE when you pick up your copy of the Superhero Sprints! As A Thank You For Your Order Today! Printable grocery lists that you can bring with you to the store each time you go. Shopping for healthy foods can be difficult when first starting out. 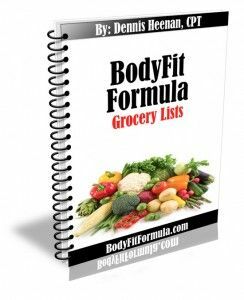 To make things easy I have created grocery lists for you that can be easily printed off and taken to the store each week. Plus, they are so simple to use and can be used right alongside the eQuick Meal Guide. One of my most popular workout programs that requires zero equipment and can be done right in the comfort of your own home. 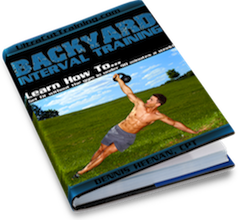 Backyard intervals is a full 4-week program that is 100% bodyweight and 100% INTENSE. You can do these on an off day or once you are finished with the Superhero Sprints system. Click Here To Add To Cart! This is much less that your typical trainer, where your results are not even guaranteed! With the Superhero Sprints System, I absolutely 100% guarantee your results! In fact, I guarantee you will see more results in the next 6 weeks than you have in the last 6 months! the program is yours FREE! If you decide to sign up for the Superhero Sprints system, I will let you “test drive” the program for a full 60 days. Go through the workouts, read all the bonus reports, and start applying what the system calls for. 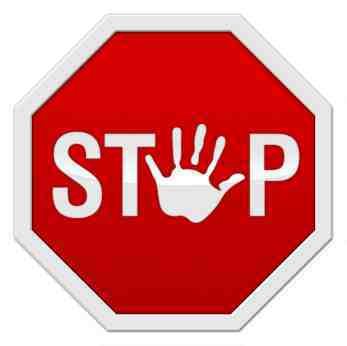 Test Drive the program and if it is not the solution I am promising it to be, you pay nothing! Even with your investment being just $9, I will give you back every penny spent if you do not get the results I promised. Why am I doing this? Because I am that confident in this system! 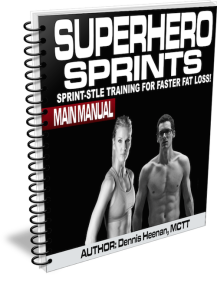 Get The Entire Superhero Sprints System And All The Bonuses Today For Just $9 PLUS BONUSES! I hope you will join me in this journey and take a stand against your health once and for all. A Superhero Physique is just 6 weeks away. Don’t delay, get started now! Here’s to getting that lean, athletic, Superhero Physique! P.S. Remember, you won’t find the kind of workouts on this system anywhere else. There are certainly some great programs out there, but none have properly combined the two most powerful fat burning workouts on the planet and turned them into the ultimate workout system! P.P.S. Research has shown that high intensity workouts are the way to go when trying to blast away fat. With two of the best high intensity workouts mixed into this program, you are guaranteed to get results- Click HERE to get started for just $9! Click the ‘Add To Cart’ button to receive your special discount and all bonuses for the one-time low price of just $9! Q: What are Superhero Sprints and why do they work so well? Superhero Sprints was designed to be some of the most intense workouts you will ever do using the ISMT™ method. The workouts on this program take fat burning to a whole new level. With the combination of sprints and strength circuits, you allow your body to burn fat and replace it with lean muscle simultaneously. Plus, Superhero Sprints includes an incredibly simple yet powerful eating system that will sky rocket your results in and out of the gym. Q: I am a beginner, can I still use the program? Q: Will I have to starve myself on this program? Absolutely not. I love food just as much as the next person so the last thing I would ever want to do is restrict someone from eating the foods they love. I have placed cheat days throughout the program where you can literally eat anything that you want. I am being serious. Just this past week on my cheat day, I had pancakes, an extra large pizza, a dark chocolate mocha, and tons of candy. And the best part was, I still burned fat! I will show you how you can do the exact same thing. Q: I want to start the program right now, will I have to wait for all of this to ship to me before I get started? No! The entire program and free bonuses will be immediately available to you via download after your purchase. No shipping fees or waiting around to start the program! It is delivered instantly. Q: What if I have a lot of weight to lose? Whether you are in great shape, or are just starting out, Superhero Sprints is designed to bring you amazing results. Each of the workouts can be easily catered to fit anyones fitness level so no matter where you are at currently, this program will challenge you. Q: Is this program for men, women or both? Will it work faster for a certain gender? Both! And no, getting in shape works across the board. No discrimination when it comes to fat loss and muscle gain. It is all about dedicating yourself to getting results and following the plan. 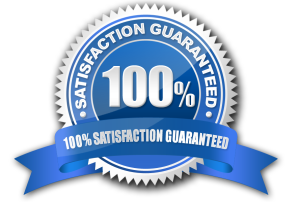 If you follow the steps in Superhero Sprints System, do exactly what it says and follow the outline, and for ANY reason you are not satisfied, just email me and I will refund your money. Simple as that! 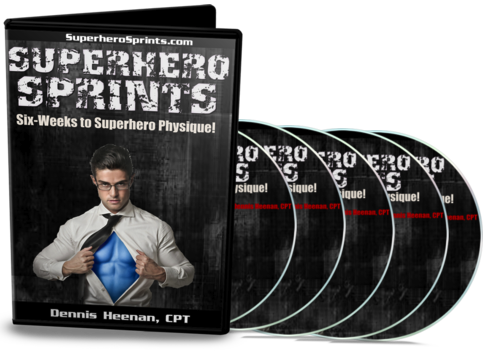 Get The Entire Superhero Sprints System And Bonuses For Just $9! 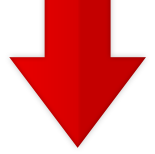 NOTE: Superhero Sprints is an e-series that is completely downloadable. Nothing will be physically shipped. After your order, you will get instant access to the product components to download on to your computer. The format for all manuals, reports, checklists, etc. is Adobe Acrobat PDF. It is compatible with Mac and PC!